Poor debit. He never stood a chance. We don’t use cash much in this country. Most online and in person transactions are done by credit or debit card. Even with things like Apple and Samsung Pay, a card is still the thing making the transaction. But is credit or debit the better option? Do people even know why they use a credit card or debit card? This post will answer both of these burning questions. Unless you live off the grid, having a great credit score will give you lots of advantages. You’ll be able to be approved for the best reward credit cards. You will most likely get approved for and be offered the best rate on loans, including car loans and mortgages. And achieving a high credit score isn’t too complicated. People with high credit scores are just more trustworthy in the eyes of lenders. And responsible credit card use will help you get a high credit score much easier than a debit card would. The companies that track your credit history don’t care how much you use your debit card. They want to know how many credit cards you have and if you pay them back on time. And the more responsible you are with your credit, the more credit banks will be willing to lend you, which increases your credit score even more! But you can’t get all of those credit boosting benefits if you use your debit card. Start small by using one credit card and paying it off in full every month. Winner: Credit cards. Debit was just being toyed with in the first round. Now the fun begins. I think there should be some incentive in choosing to use a card for payment instead of cash. And credit cards provide that incentive in the form of credit card rewards. It’s no secret that I enjoy chasing credit card sign up bonuses. They are an easy way to get some cash back or travel points for spending money on the things will buy anyway. Even if you don’t chase sign up bonuses, many reward cards will give you 1-2% cash back on every single purchase. Why would you not take advantage of that? Not every credit card comes with rewards. But it’s easy to find many that do. Debit cards? Hardly any give you rewards. And the debit cards that do have rewards offer very minimal incentives. Whether it’s chasing sign up bonuses or just getting some incentives for every purchase you make, credit cards are superior over debit in every way. Winner: Credit cards by a landslide. I don’t think debit even landed a single punch. Here’s where things can get a little dicey for credit card users (but only if your’e not careful!). When you swipe a debit card, that money comes straight from your checking account. So there’s no need to worry about paying off a balance on time or accruing interest. Unless you love overdrafting your account, you will never spend money that you don’t have or incur any fees with a debit card. Credit cards are not so nice to people. If you are late with a payment you will get hit with a fee. If you don’t pay your balance off in full, you will be charged ungodly amounts of interest. And if you do things like this consistently, you will make the bank very rich while making yourself very poor. So the biggest things to keep in mind for credit card users is to always pay on time and in full. Any rewards from credit cards will quickly be negated by fees and interest. And many cards charge an annual fee, even if you don’t use the card! So if you know you are the type of person that will not pay in full, then stick with debit. While you will have a boring life, you will avoid getting into credit card debt, which has ruined many people’s lives. Just don’t overdraft your account. Those fees are pretty egregious. Winner: Debit by a hair. I think credit was feeling bad so they let them get a round. I have a feeling this is the knock out round. Like I said before, there should be some incentive to using a card instead of cash. And while credit cards can offer nice rewards, another great incentive is liability protection and disputing transactions. If someone steals your card or gets the number somehow, most likely they will try to run up some purchases as quickly as they can. This happened to me a couple of times. I’ll see an unusual purchase or get a text about one, and then contact the card company. What they usually do is just send you a new card with a new account number and give you an immediate credit for those fraudulent purchases. Pretty easy. Debit cards are not so easy. Since you can bypass the PIN feature for debit cards at most stores, it’s easy enough for someone to steal your card and use it anywhere. The problem is, the money they spend is siphoned directly from your checking account! Which means you run the risk of losing all of your liquid funds in an instant. And while you will most likely get your money back, the process is longer with debit cards and you will be left to deal with a depleted bank account for a few weeks. There is just so much more liability protection with credit cards it’s not even funny. Another nice feature with credit cards is the ability to dispute transactions. If you bought something by accident or are not happy with your purchase, you can dispute it and your card issuer will usually just give you a credit for it while hashing things out with the company. They are fighting for you right after they get your money back. With debit cards, it’s much tougher to dispute a purchase and even if you do, it takes longer as well. Winner: Credit cards. Debits corner had to throw in the towel to save him. Winner by KO: Credit Cards! Having financial awareness, especially of why you use credit cards instead of debit, is the key to financial success. There are just so many inherent advantages to credit that it’s almost a no-brainer in an optimal financial plan. So take some time to find the right credit card for your needs, make sure to pay the balance on time and in full, and enjoy the benefits for years to come. They’re making a killing off of us. My first checking account was at the same local bank that my dad used and he helped me sign up for it. Banks LOVE this since they are hoping to get your business for life and then I will do the same thing with my son. They’re hoping people don’t catch on that there are great checking and savings options available and you aren’t beholden to your local bank. Depositing your money into a checking account is the safest way to store your cash. If you’re not careful, however, the fees can really stack up. ATM fees, overdraft fees, insufficient balance fees, and even fees for talking to a human. Navigating around these is essential to your finances, as these fees can really eat up your money and are easily avoidable. While little account fees have always been there, they have been even more prevalent since the Great Recession of 2008. Since banks can’t make as much of a killing (they still make a killing though) off of mortgages, they turned to ticky tack fees to make up the difference. And make up the difference they did. 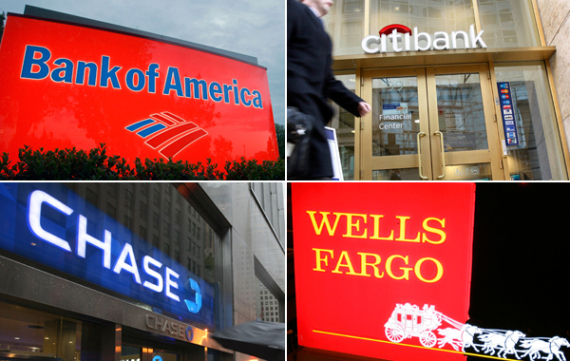 Chase, Bank of America and Wells Fargo, the three biggest banks in the country, made over $6 billion in 2016 from ATM and overdraft fees. That’s pure profit for the big banks without providing any service. And the banks will keep on charging fees since most of the country doesn’t know any better. But these fees are easy to avoid. If a bank tells you that there is now a monthly maintenance fee with your account, find a way to get around it or just ask to have it waived if you have been a long time customer. Many banks will waive the fee if you sign up for direct deposit of your paycheck, for example. Also, they will be more likely to change things if you talk with a branch manager. If negotiating is getting nowhere, tell them you will take your business elsewhere. And if they still don’t budge, close the account and just go elsewhere. There are tons of options for bank accounts out there and if the bank you have stuck with for years doesn’t think it’s important to keep you as a customer, then find a bank that does. One fee that is usually not negotiable is ATM fees. Either you use your bank’s ATM or you don’t. But nowadays you don’t have to use cash for pretty much anything. Even going to the coffee shop is as simple as loading some money from your credit card to your smartphone app. And you can pay bills and your friends easily through Bill Pay services with your bank or apps like PayPal or Venmo. But the best way to avoid ATM fees is to switch to a different account altogether. Internet only accounts have exploded in the last few years. If you’re getting a raw deal from your current big bank, switching to a vastly superior online bank has never been easier. Many online banks provide the same services as the big boys do. You can direct deposit your check and pay bills easily. But the most important difference is the lack of fees. Many online banks will waive ATM fees. Some are unlimited and some up to a certain amount. Many of them also allow you to order checks for free, which is something that can cost $20 easily at most big banks. There really is no reason not to consider an online bank if you’re being hit by fees from your current bank. My favorite account has always been the checking account offered by Charles Schwab. It has withstood the test of time and continues to offer unlimited ATM reimbursements, even internationally. It truly is a no fee checking account that would serve anyone well. Ally Bank also has a great online checking account that reimburses ATM fees up to a certain amount. A nice website that will allow you to compare different online banks is Magnify Money. The days of being beholden to the big banks are over. While most of the country will probably never catch on to this, you need to. There are lots of options out there and doing a little bit of research will lead you to find the perfect bank for you. There are so many financial magazines and blogs out there with all different types of advice to save/make money. Cut down on your lattes! Get this stock for 2014! Find cool rocks and give them to people as gifts! But not everyone drinks lattes, is into the stock market or collects pretty pebbles. Certain things works for certain people. But one thing that can time and time again save you the most money possible throughout your entire life is having a good credit score. The importance of having a good credit score is sometimes overlooked because of two main reasons. One, it can be boring as heck to read about. Just hearing the word “credit” can male people eyes glaze over. Then they wonder what a credit score is, the difference between a credit report and a credit score, followed by the “No way, I have to pay for my score??!!”. The other reason credit scores can be overlooked is because it takes time to get a credit score. We’re talking about months to years. People want results NOW, not a few years from now. I previously wrote about how quickly a credit score can be ruined. It is usually harder to build good things than it is to destroy them. So this post will be for those who have little to no credit history and want to build a nice solid credit score. For people whose credit is a mess and are on the edge of bankruptcy, this post is not for you. It’s for those who have a blank credit slate and would like to take the smart move and have a good credit score that will serve them during their whole life. FICO, the company that determines your credit score, has a neat little chart on their website that tells you what effects your score the most. Being a credit newbie, the factor that is most against you is your length of credit history. The longer you have a history of good credit practices, the better your score will be. But this only makes up 15% of your score, so you still have an opportunity to get yourself a good score rather quickly. The two major factors, payment history and amounts owed, are something you can work on right away. The best way to start? Get a good credit card. Not one of those secured or student ones with $250 credit limits. Just do a simple search with Chase or Citi, for example, and find a good solid rewards card to use. Some rewards cards are usually reserved for high rollers, but if you opt for a simple cash back card with no annual fee like the Chase Freedom or Citibank Dividend, you should have no problem getting approved for one. Plus you’ll get some cash back for your trouble. Your credit limit will probably not be that high, but that’s okay. Once you get approved for the card, just make some everyday purchases like gas and groceries, but watching that you don’t get too close to your credit limit. You want to keep your “amounts owed” well below 50% of your credit line. If you have a $1,000 credit line for instance, try not to charge more than $300, or 30% of your total credit. Now when the bill comes due, make the full payment before the due date. Rinse, lather and repeat for the next months. After a while, most companies increase your credit limit. If you have had 6 months of on time payments and haven’t seen a credit increase, just call and ask for one. While that pie chart is good as far as telling you what constitutes your credit score, everything else is kind of muddled. Should you wait 6 months before applying for your next card? Or a year? Exactly how many points does a credit inquiry cost you? It’s almost impossible to find the exact answers to these questions, but if you’re just starting to build your credit, I would err on the side of caution. Maybe wait 9 months before applying for a new card instead of 6. Keep that credit utilization ratio at 20% instead of 30%. A credit score is something that will help you for a lifetime, so it’s worth taking your time with it. And that’s pretty much it. Keep making on time payments (and full payments to avoid credit card interest), and you will be on your way to a great credit score. A final note, there is a little 10% piece of that chart that is for types of credit used. Essentially, they are saying the more varied types of credit you have (credit cards, mortgages, car loans, student loans etc. ), the better your score will be. This does NOT mean you should go out and finance a car if you can’t afford to. This is only 10% of your score, so it won’t affect it that much. The most important thing is to look at the big picture. Pretty much everyone will have a mortgage or car loan at some point. They’re not going anywhere anytime soon. But to get the best rates for a mortgage, you need a good credit score! So after years of paying your bills on time, check your credit score. If it’s in the category that will get you the best rate for your mortgage, and if you can afford the mortgage of course, that may be a good time to get one. The difference in interest paid between an average credit score and a great one can be tens of thousands of dollars! That is real savings. So if you keep that credit utilization ratio low and don’t miss any payments, you will be on your way to a great score. Is your Savings Account Awesome? There are two ways to get wealthy: Make a boatload of money all at once or consistently save a portion of what you earn. Most people dream and struggle (but mostly dream) about getting rich with the first method. You must be EXTREMELY motivated and EXTREMELY lucky for that to happen. You pretty much have to give up whatever you’re doing right now, and devote your blood, sweat and tears to make this happen. Now, most people are not willing or able to do this, so the second path to wealth is much more attainable. Saving a portion of what you make is not only much more attainable for most people, it is downright EASY compared to forming a million dollar business. Having a good savings account is essential on the path to wealth. Scratch that, having an AWESOME savings account is even better. In an ideal situation, savings should be a mix of short and long term savings. Short term savings includes funds that might have to be used within a year or sooner. Examples would be an emergency fund or saving for the newest Xbox which you can smash in front of all those people waiting in line on Black Friday (have secretly wanted to do this). Long term savings include retirement accounts and college savings accounts. It’s mainly for stuff that is very important when the time comes, but it is a while away. -Make sure it is separate from your checking account. Many people focus on interest rates when it comes to savings accounts. They are important, but not nearly as important as having your savings account at a different bank from your checking account. Having it at the same bank would actually defeat the purpose of having a savings account altogether. Your emergency fund, for example, should be easy to tap in case you need to, but not so easy that you can transfer money out of there in a second. You want to think about it for a second when you withdraw something from savings. Having it at a different account gives you about 2-3 business days to think about it. Having your savings account separate from your checking also makes it easier to save automatically. Just set up an automatic withdrawal from your checking to your savings every month, and it’s like you never see the money. This is the key to building up your savings and avoiding lifestyle inflation because if you see the account all the time, you start to think that you can spend it whenever you like. -Choose one that allows you to easily make sub-category accounts. Piling your money into a savings account is definitely a good move, but most people have different short term savings needs. There can be an emergency fund, saving for a laptop, vacation etc. Being able to make separate savings accounts and have separate goals for each can make it crystal clear how much you have to save. If you want to save $1,000 for a vacation next year, just set up a vacation account and put in $100/month. Anything that makes your financial decisions easier and more automatic is a great thing. Surprisingly, not all savings accounts are able to do this, so find out before you sign up for one. –Interest rates should be taken into consideration as well. While rates are not as high as they have been in years past, you should still try to get the best rate you can. Online savings accounts almost always have better rates than big banks. According to the Bank of America website, their regular savings account has an interest rate of 0.01%. That’s literally almost nothing! It would be foolish to use an account like this when you can find an online savings account with rates around .5% (That’s 50 times better). Because interest rates are at a relative low point, jumping around from account to account to snag the best interest rate is most likely a waste of time. Find an account you are comfortable using that has a good rate and stick with it. -Be on the lookout for fees as well. The Bank of America account I mentioned has a $5 monthly fee and some hoops to jump through to get rid of it. Don’t bother with that as there are plenty of savings accounts with no minimum deposit requirements or hoops to jump through. One thing to keep in mind though is that many account limit the amount of withdrawals you can make per month. If you go past that number, you can be hit with a penalty. Since you’re saving for things in the future, you shouldn’t have a problem with this. So does your current savings account have all of these features? If not, it might be time to switch. From reading my previous posts, you can probably tell I’m a huge fan of online banking. Savings accounts are no exception. In fact, online savings accounts are light years ahead of big bank savings accounts in terms of ease of use and interest rates. Do yourself a favor and switch to an online savings account. I’ve had CapitalOne 360 Savings (formerly ING Direct) for years and absolutely love it. It makes saving super easy and automatic, which is the most important factor. 1. No Fees: I remember the days of scrambling to find the closest ATM. I do not remember those days fondly. One of the most frustrating experiences is finding an ATM that won’t charge you any fees. Plenty of online banks will refund all of your ATM fees, no questions asked. This makes your life just a little easier. Most online banks don’t have account minimum fees or anything weird like that either. If you want to never worry about fees, switch to an online bank. 2. Free checks: I’ve had checking accounts with a few of the big banks and have noticed that they all charge for ordering more checks. Granted, you can probably pay all of your bills online and not have to worry about checks, but some people still require them and it’s nice to have to not pay for them. Many online banks don’t have any fees for ordering checks. Can’t say the same for many big banks. 3. Great customer service: You will inevitably run into some type of issue while banking that will require you to get on the phone with them. I have to say I have only had the most pleasant of experiences with online banks. I am tempted to just call them just to say hi so I can receive the royal treatment. Pretty much all of my calls to big banks have resulted in long wait times or a less than helpful representative on the other line. These are three things you’ll never have to be concerned about if you switch to an online back. While there are undoubtedly more reasons to switch, these three things tend to provide the most headaches when banking with the big guys. Do your finances a favor and start banking online.